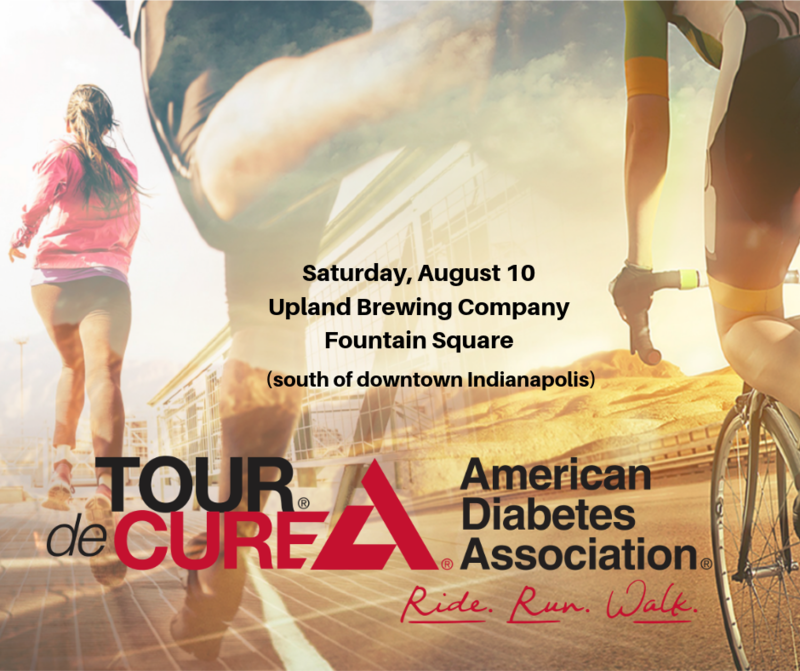 The American Diabetes Association® (ADA) invites riders, runners and walkers of all levels to join the celebration and be part of the movement to fight diabetes at Tour de Cure®, a fitness and community event happening on Saturday, August 10. The American Diabetes Association® (ADA) invites riders, runners and walkers of all levels to join the celebration and be part of the movement to fight diabetes at Tour de Cure®, a fitness and community event happening on Saturday, August 10. Taking place at the new Upland Brewery Company location in Fountain Square, set to open Summer 2019, the event aims to raise funds to support the ADA’s mission to prevent and cure diabetes, and to improve the lives of all people affected by the disease. Tour de Cure features a variety of routes designed for participants of all fitness levels. In addition to the traditional cycling event, ranging from a 10K cycling route for families to the 100-mile century ride for experienced cyclists, this year’s event also features a 5K and 10K run and walk. Routes feature rest stops with food to fuel the journey and volunteers to cheer riders along the way. Participants who have diabetes get VIP treatment. Runners, walkers, cyclists and volunteers from across the country participate in Tour de Cure events each year. Participants in Indiana can register at www.diabetes.org/indianatour.